This uniquely designed Silver and Gold Aluminum Pendant is a handmade, one-of-a-kind original. The Aluminum has a textured surface and is formed by hand into this intricate design. 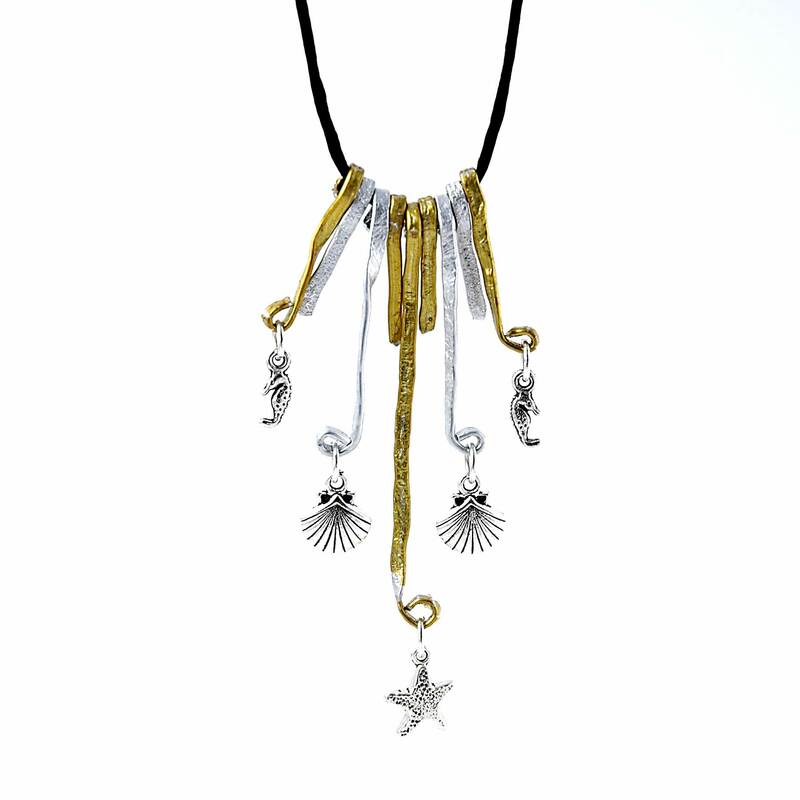 This unique hand-crafted pendant also has Sterling Silver Starfish, Shell and Seahorse Charms. This pendant comes with an 18" Satin Cord with a Sterling Silver Lobster Claw Clasp. You will receive the Pendant pictured or a design very similar. 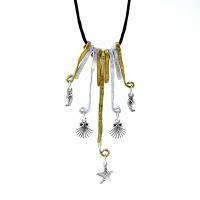 This fabulous Pendant can be worn for any occasion and is very comfortable and light.